An event with MVAA and island partners to inspire partnerships between local institutions and artistic communities. This year's Painting the Vineyard Plein Air event will be hosted in conjunction with Felix Neck Wildlife Sanctuary. Artists island-wide are encouraged to participate. MVAA members and non-member artists will create works with Felix Neck as the central theme. Works may focus on the landscape, wildlife, and feelings they inspire. As always, non-Plein air artists are invited to participate with work created in their studios. This is a community outreach event and is open to non-member island artists for participation. 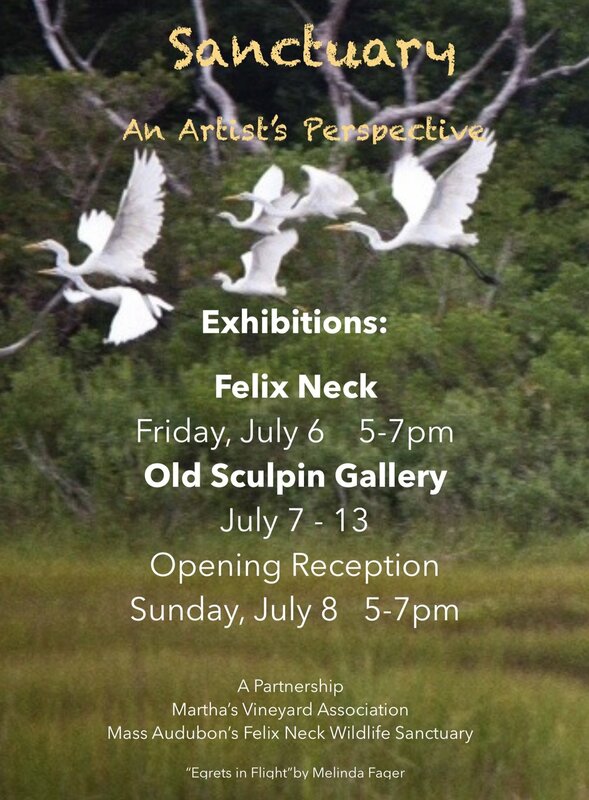 Paint at Felix Neck at your leisure but don't forget to register with Old Sculpin before you go (so entry fees may be waved and we can add you to the event list)! Click on Prospectus below for important information. Art Drop off at theFelix Neck Barn: On July 3 between 4 and 5 pm.